Anyone who has ever gone through infertility knows that the news of other people’s pregnancies can be difficult. It can be upsetting and unnerving to learn that someone else has gone from “not pregnant” to “pregnant” when you haven’t. While any pregnancy news may jolt you, some pregnancies can be harder to bear than others. High on the list are those of sisters, and sisters-in-law. Harder still, is coping with these pregnancies around Mother’s Day. What is it about a pregnancy in the family and Mother’s Day that makes for a perfect storm of infertility upset? 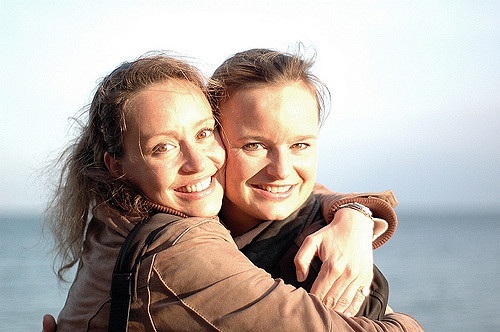 You and your sister or sister-in-law may be fortunate in having a warm relationship. You love her, want only the best for her and would be jubilant if she won the lottery, got a great new job or high honor. It’s painful for you to envy her for being pregnant. You may find yourself with unwished for, ugly thoughts of wishing she wasn’t pregnant, or that her pregnancy would just go away. And then, there are feelings about your mother, or mother-in-law. You know she wants to be a grandmother. She’s been a good sport, watching her friends become grandparents and listened, as they talked unendingly about their adorable grandchildren. If she knows about your infertility and been supportive, she may try to hide the joy she feels, knowing a baby is on the way. It may hurt you to see her trying to camouflage her feelings. Or, perhaps, things haven’t gone so well and she doesn’t understand your pain. Maybe she’s said or done the wrong things. Even when she’s tried, she’s made things worse. And now they are worse still because she is caught between a daughter who is expecting and one who is not. If the family is getting together, try celebrating at home. It may make things easier to be together, yet away from the public Mother’s Day fanfare. This way, you may avoid people wishing you a Happy Mother’s Day and fawning over your pregnant family member. You will also spare yourself from being surrounded by mothers with young children and more pregnant bellies. If the family is not planning to all be together, don’t suggest it and make your own plans, either with or without your mother, if you need to. Be creative. Let your mother know you have an alternative plan for honoring her—you’ve signed her up for a mother-daughter adventure that could be anything from a day at a spa, to a whale watch or yoga retreat. Get together with friends who also don’t have children in tow, and figure out some super cool way to spend the day. The good news is that Mother’s Day is just one day. Yes, there’s lots of build-up around it but then it is here, done and gone. I hope when May 8th arrives, you will feel good about the way you have gotten through yet another hurdle in your journey through infertility and when the next Mother’s Day rolls around, you will feel truly part of the celebration.